And this gospel of the kingdom will be proclaimed throughout the whole world as a testimony to all nations, and then the end will come. I am all for reading the book of Revelation! John, under the inspiration of the Holy Spirit, wrote that we are blessed if we read it (Revelation 1:3), but we have to be careful when interpreting the meaning of John’s apocalyptic language. I believe that Jesus gave us this book to give us hope, not information about how things are going to exactly play out. The funny thing is that when talking about end time prophecy, most people do not talk about the most definitive statement on Jesus’ return ever. Plus, this statement came from Jesus himself. In Matthew 24, Jesus’ disciples have come to him and have asked him the same question that we want to know: When will the end take place? Jesus proceeds to tell them about things to watch out for, including wars, famines, earthquakes, and false teachers. Jesus then says that at some point the gospel will be preached all over the world as a witness to every ethnic group. 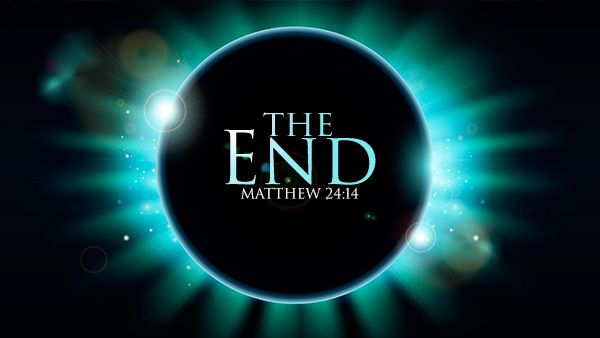 When enough people from every ethnic group on earth receive Jesus as their Lord and Savior, Jesus says very plainly, “…and then the end will come.” The end of the age is not contingent upon a lunar eclipse or a certain country invading another or the increase of evil. These are signs that the end is coming, but the end itself will only take place when the Great Commission is completed. This is further confirmed in Revelation 7:9 when John looks and sees a multitude from every ethnic group worshipping the Lamb. The exciting part about all of this is that we have never been so close. With a concerted effort the Church could possibly get missionaries to every ethnic group within a short time span. That effort is underway but needs more help and finances. As Christians, if we truly long for the return of Jesus, we would be doing all we can to fulfill the Great Commission. How awesome would it be to be apart of the generation that got to usher in the return of Jesus! I believe that God has given our generation the ability and the potential to finish His task of getting the gospel to every ethnic group, but it will take each of us as individuals to come under His Lordship and follow Him with utter abandon to the uttermost parts of the world. Let events like last night’s lunar eclipse or the world news spur us on to get the gospel to unreached people groups, because it is only then that the end will come.